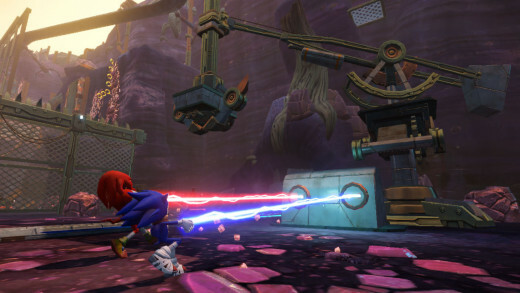 Entertainment: Sonic Boom is bland at best and broken at worst. 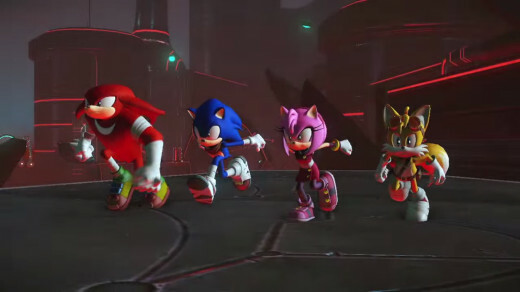 Sonic Boom, the latest cartoon show starring gaming's fastest hedgehog, has given the ailing franchise a new lease on life by presenting a fresh vision for the series for a new generation of fans to latch onto. 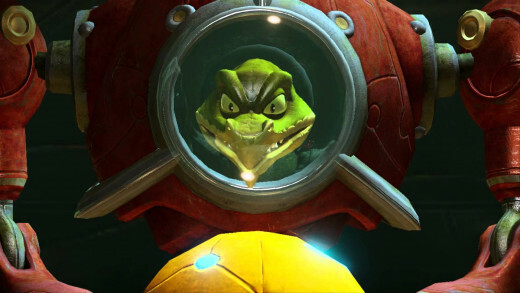 The games followed suit with a change in developers and adopting gameplay elements similar to platformers such as Ratchet & Clank and Sly Cooper. 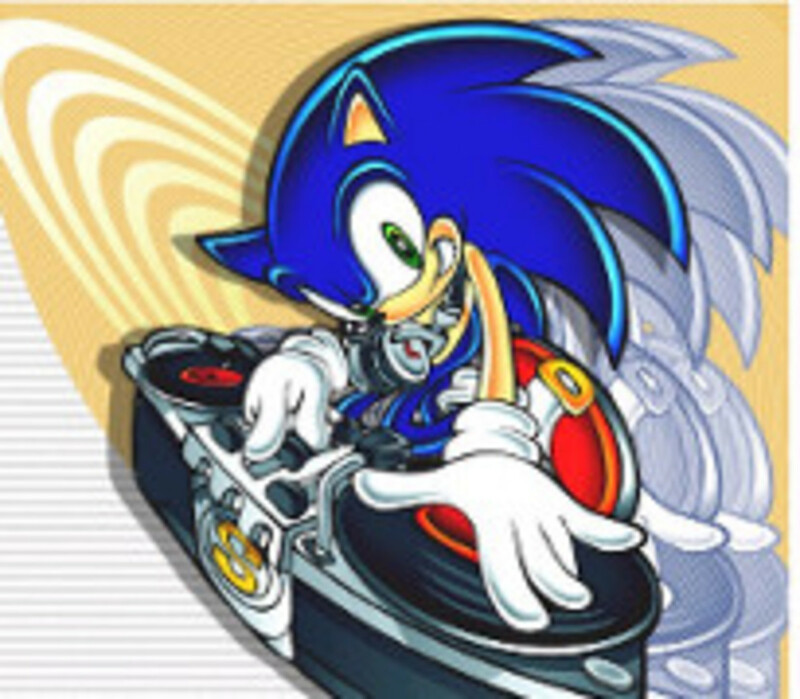 Despite this being the best shot Sonic's had of reinvigorating himself in years, the curse of the hedgehog remains in full force. 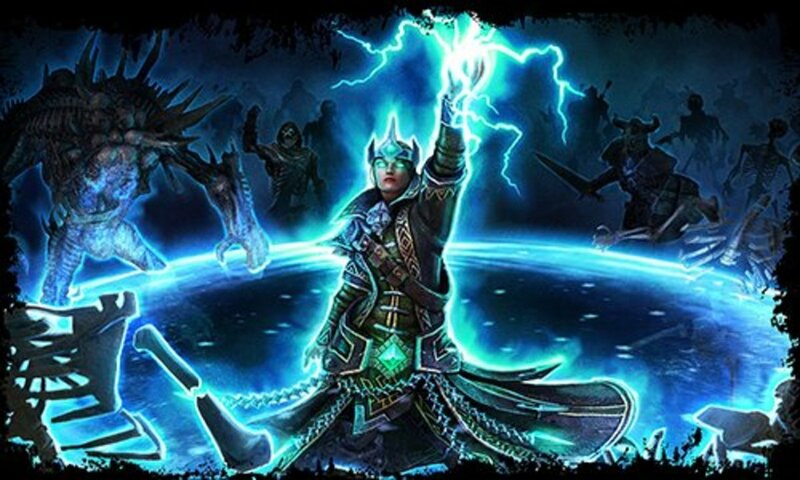 Rise of Lyric fails to remedy legacy problems and, worse, introduces a boatload of new issues. Let's discuss the good first. The locations are nicely varied; you'll romp through ancient ruins, an undersea lab, and a sky temple, just to name a few. 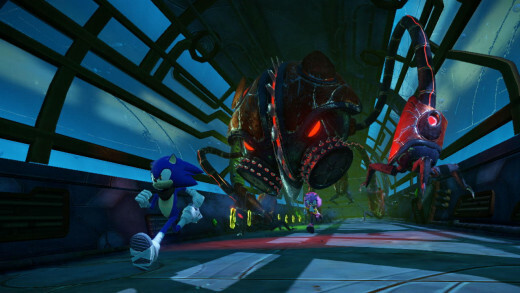 Several of the robot designs are pretty cool as well, with my favorite being a hellish, octopus-like machination. 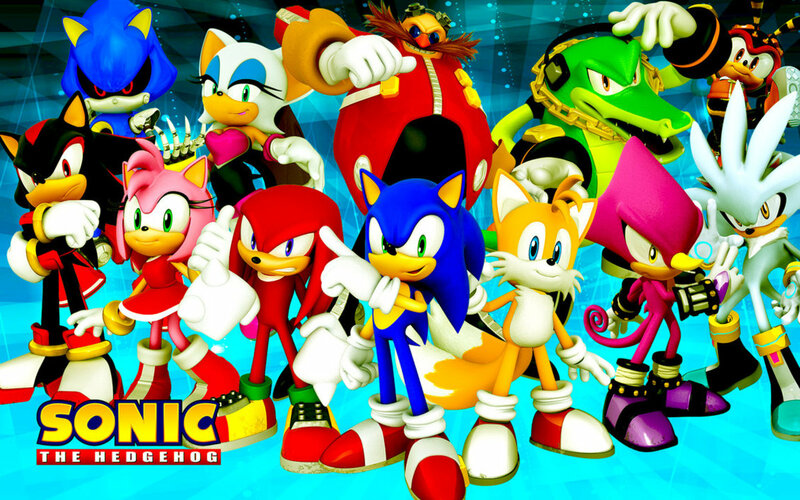 Each of the four playable characters (Sonic, Tails, Knuckles, and Amy) have unique abilities that the game does a decently good job of showcasing in both combat and exploration. That's about all the praise I can muster because the rest of the game spirals into bandaged-wrapped mediocrity. As I alluded to earlier, the more-open stages are divided into zones tailored to each character's strengths. 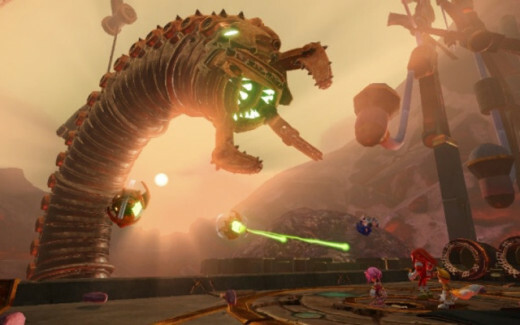 Sonic can spin-dash, Tails can hover, Knuckles can climb rock walls, and Amy's nimbleness allows her to traverse beams. While platforming works at a base level, the lack of any real challenge makes it rather dull most of the time. Sprinkled amid the stages are the high-speed running sequences made famous in Sonic Adventure, but they're still a mess thanks to a terribly choppy framerate that's barely able to keep up with the frantic pace. Each critter comes equipped with a laser-lasso (like in R&C: All 4 One) used in rail-riding sequences that are just as rough as the running sections and control far too sensitively. Continually switching between the four to get through areas is the key, but teammates often refuse to follow the leader. It becomes supremely irritating to complete a platforming segment with one character only to reach an area accessible only to another team member who's still waiting at the beginning of that section. Re-doing everything as that character just to reach the one roadblock you actually need him/her for is unnecessary and tedious. When partners do decide to tag along, it's often in the form of jarringly popping into existence once you've reached a checkpoint. 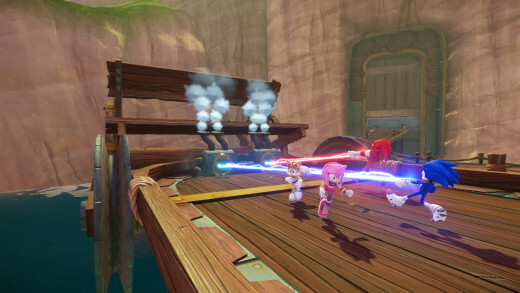 Sonic Boom's simplistic combo-driven combat is an unpolished, chaotic mess. You're just mashing the same two buttons mindlessly against large waves of enemies while attempting to dodge attacks with an unresponsive dodge maneuver. The lack of a recovery period after taking damage means you're occasionally trapped in an enemy's barrage, losing rings faster than Sonic can declare his love for boost pads for the millionth time. Your lasso can used to reel in enemies but feels too twitchy and weak to be satisfying and rarely targets the intended foe. Even with those frustrations, almost every encounter is, thankfully, a breeze to get through (death brings instant respawn) so you'll likely be more bored than angry. 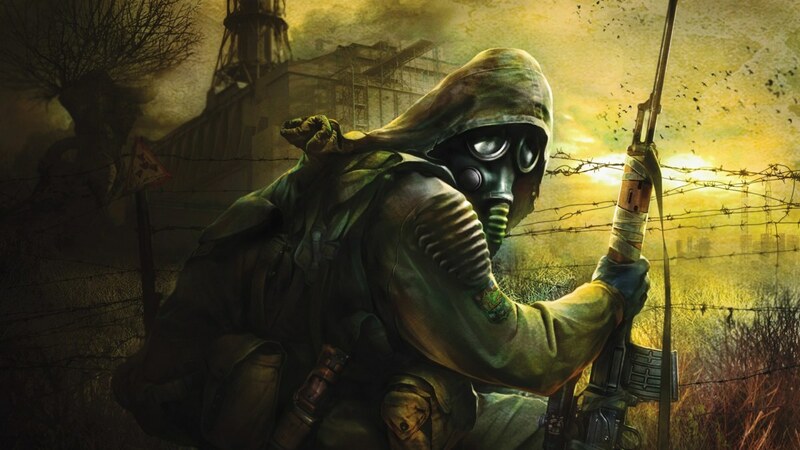 Given the game's nature, I'm surprised at the lack of four-player co-op (the game supports two-player only) as human partners would be much welcomed over the brain-dead A.I. The only way to share your pain with three buddies are in separate team challenges consisting of bland mini-games including a crappy horde mode. The two hub worlds contain side-quests from the world's anthropomorphic residents. These diversions typically include fetch quests and small collect-a-thons that aren't anything exciting. You've probably noticed that this is Sonic Boom's life story; even when it's not falling apart from a technical standpoint, it's just plain boring. 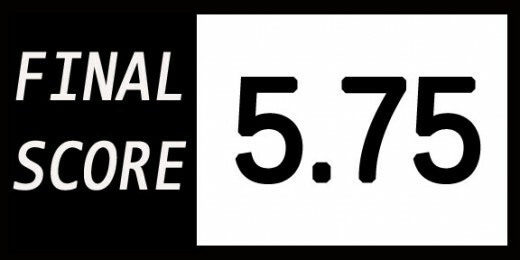 There's nothing here that doesn't exist in a more polished, creative form in a plethora of other titles and it won't be long before you replace this junk with one of its superior peers. Sonic Boom's plot is as disposable as the rest of the game. Lyric, a robotized snake, is awakened from a thousand-year slumber to renew his quest of replacing all organic life with machines, basically making him a more menacing Eggman. 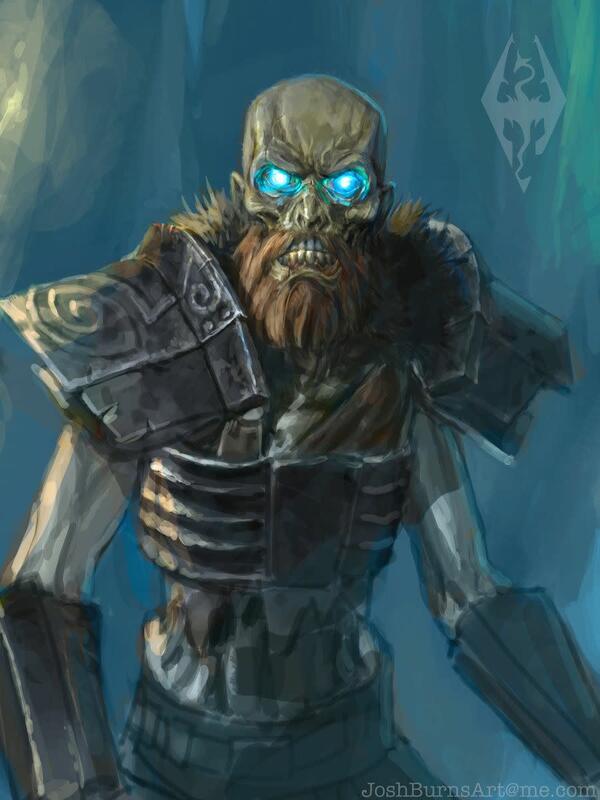 To accomplish this, he needs to gather a bunch of crystals, so it's up to the heroes to find them first. The story is the well-worn "friendship and teamwork conquers all" shtick that, like the rest of the game, has been done better a million times over. Since this is a different vision for the series, I had hoped for some introduction to Sonic's new world, but they clearly expected players to have watched the cartoon series. New characters (like the much-touted Sticks) just appear without any build-up and are already familiar with the gang, making most situations feel irritatingly out of context. There are also a pair of hilariously pointless cameos by Shadow the Hedgehog, who literally has no role in the story other than "Well, it's a Sonic game so we have to fit Shadow in somewhere". The narrative is marred by cutscenes that begin and end abruptly, terrible lip sync, and dialogue that is both cheesy and grating. The four motormouths can't go thirty-seconds without dropping lines like "Here a jump, there a jump, everywhere a jump jump!" and "Rings R Us!". When they aren't spewing inane banter, they insult your intelligence by constantly reminding you of simple skills by saying "Boost pad typically make you go upward!" or explaining the problem to a solution you've already found. If you actually give a crap about the plot, my suggestion is to toggle subtitles, mute the TV, and blast your favorite podcast or album to save yourself half of the headache. I really wanted to like Sonic Boom. 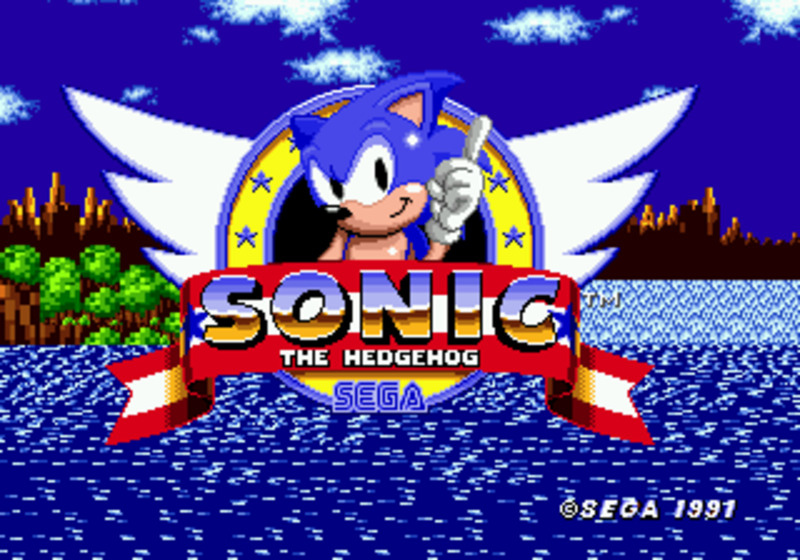 As a big fan of the style of platformers it attempts to emulate and a childhood love of the Blue Blur himself, I hoped (as I have with every modern Sonic release) this would be the game to take the series back to the promise land. Instead of wiping the slate clean, the franchise now has several new layers of dirt to scrub off.